Boil toor dal with 3 cups of water, (with bottle guard, carrots and drumsticks, finely chopped in pieces: optional) with 1 tsp. oil and a little salt and turmeric powder in a pressure cooker. Boil to 6-7 whistles (depending upon the pressure cooker). Take little oil (2-3 tsps.) in a shallow frying pan and heat it on medium flame. When hot, add mustard seeds and let them splutter. Add asafoetida and curry leaves. Let them splutter for 10 seconds. Add chopped onions and fry them until they are transparent. Don't let them brown. Add chopped tomatoes and let it cook for about a minute. Add sambhar powder, tamarind pulp, chilli powder, turmeric powder and salt to taste (remember the salt already used in boiling the dal with vegetables: it will be added in the complete dish). Cook for about two minutes, stirring occasionally. Add the boiled dal with vegetables to the pan with the water (if not all, you can put a little of it, mix thoroughly, and then transfer it all to the cooker). Add 2-3 cups water to the complete mixture, mix well, and boil it on medium flame for about 10 minutes. 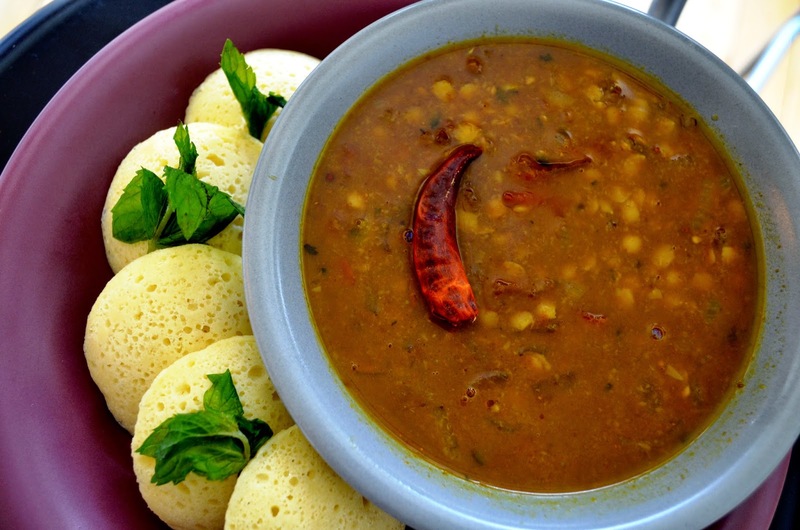 The consistency of sambhar must be a lot thinner than dal. So add water accordingly. 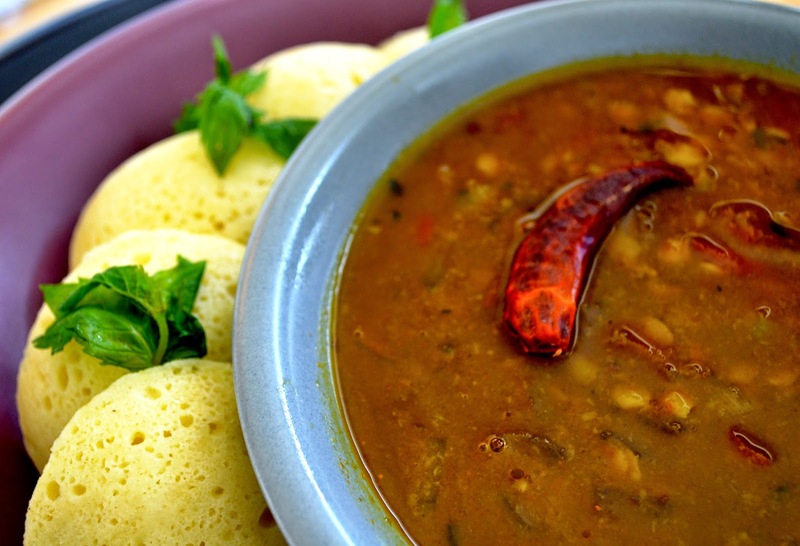 Garnish with chopped coriander leaves and serve hot with idlis, dosa or uttpam.